Oyster Bay, 19 kilometres from Picton, is the main settlement on Port Underwood. Roads lead to the far eastern side of Port Underwood and south along its western shore to Rārangi. 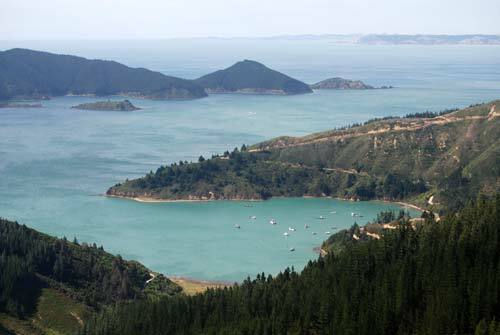 In this picture Oyster Bay is in the foreground, the entrance to Port Underwood is in the middle distance, and Cloudy Bay and the headlands of the Marlborough coast – White Bluffs/Te Parinui o Whiti and Cape Campbell – are in the distance.